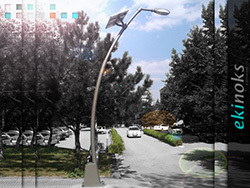 You can use easily these solar powered lamps in anywhere having unlimited use area thanks to durable structure and appropriate to any kind of ambient conditions, avenues, streets, structure ambiances, green fields and anywhere that needs light. 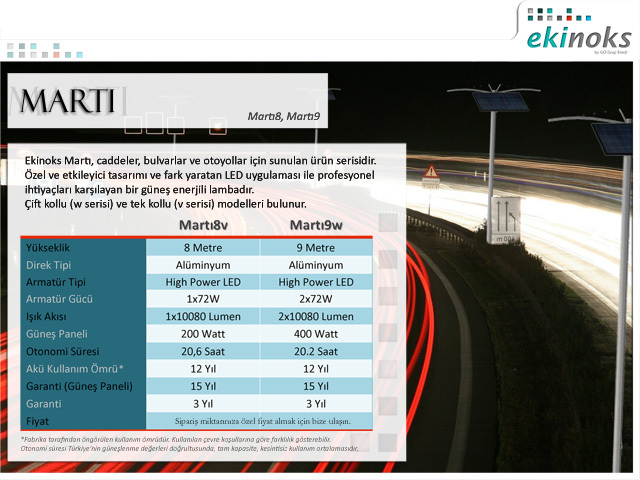 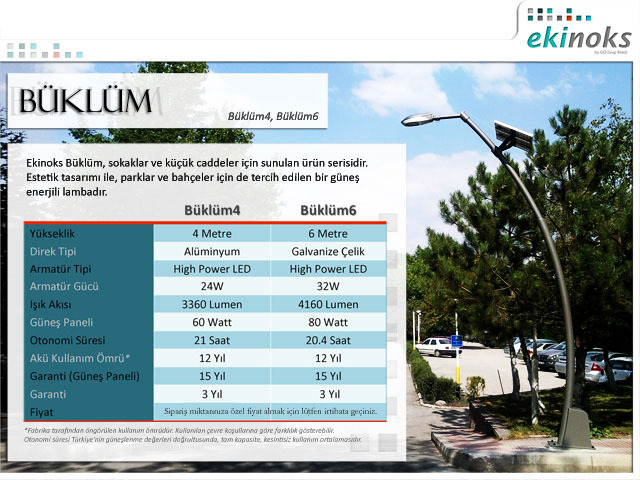 Thanks to EKİNOKS® Solar Powered Lamps extremely easy to mount, also you will get rid of heavy and costly works such as run power cables to ambiance for your light need. 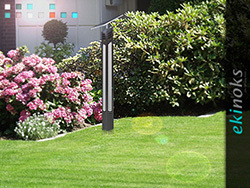 As ambiance lighting power, as they are not different from lamps working with standard electricity, removes also your need as lamp changing with 30.000 hours of life. 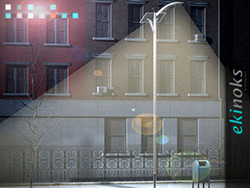 Also thanks to long life, special batteries, you will enjoy to have free light without care for years. 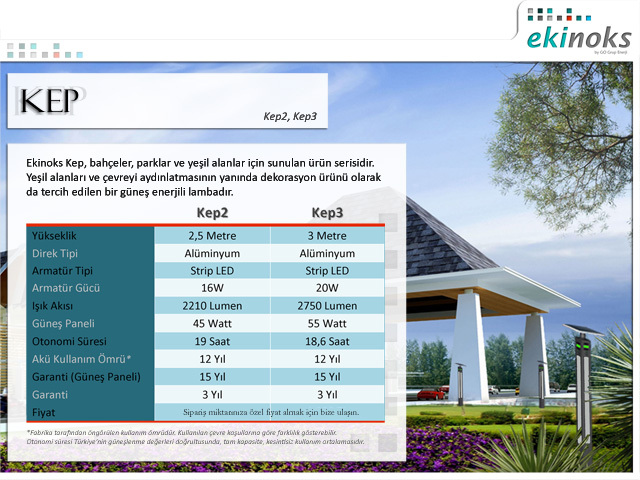 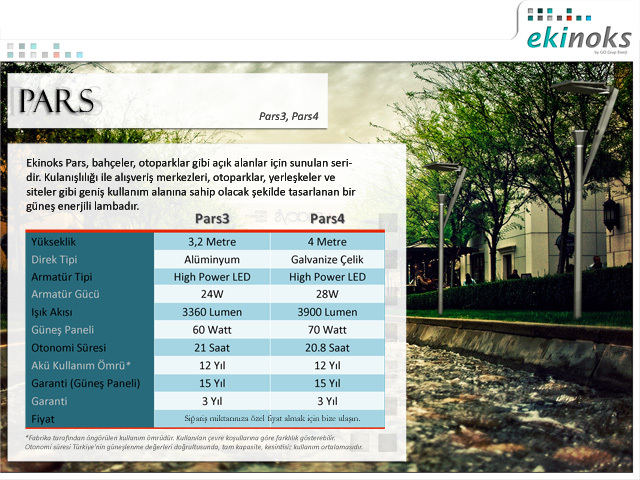 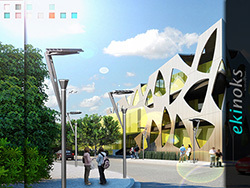 EKİNOKS® Solar Powered Lamps presented with different models for different needs and aesthetic requirements, as well as providing free your light need and count in an aesthetic look to your ambiance.